With literally 4 minutes left of GDC Play, here it is, my 25th and (I think) last submission to the Pirate Kart. 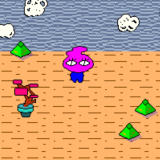 This is a sequel to my previous game, The Adventures of Bulb Boy, and this game might make more immediate sense if you've played that one. 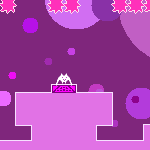 Instead of clearing levels, in this one, you're killing as many enemies as you can before you die yourself.